My 6 year old daughter wonders why there are no pink motorcycles. I know the reason and I’m sure you do, but like many of the talks in my future, its hard to explain to a six year old. But there are times when I see a small, Italian single and think that it could be painted pink. 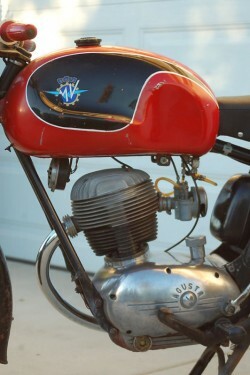 Both MV Agusta and Gilera have great racing history at the Grand Prix level. Giacomo Agostini won on a 500cc and 350cc MV Agusta in multiple years. 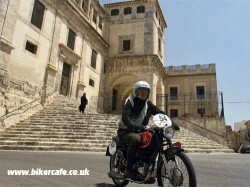 Umberto Masetti and Geoff Duke combined for Gilera’s 500cc effort to gain the top step. 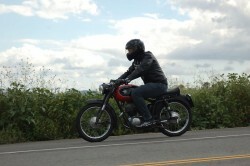 Both manufactures funded these factory efforts with small displacement street bikes. The rest of the bike has a very nice original “patina.” There are scratches, chips, and some rust on the handlebars as would be expected from an old bike like this…. There is some rust in the tank that is making it’s way down to the petcocks and clogging them. The bike runs great, but began to starve for fuel after a few minutes of spirited riding, if you wait a second the carb bowl refills and it’s ready to go again ….. A carb clean and tune wouldn’t hurt either. 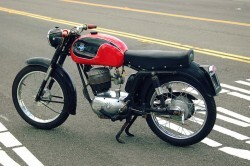 The 1954 Gilera Turismo for sale is also Italian, also small, but at 150cc could possibly win a drag race between the two. Adding them up still does not match this contemporary MV Agusta in displacement posted here on CSBFS, and a little more then 1/3rd as many cc of this RSBFS MV Agusta from 2000. 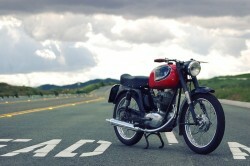 I wonder if the seller is charged by the word as there is no real description of the bike. 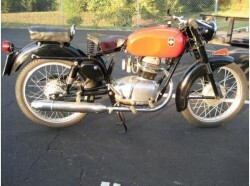 1954 GILERA 150 Turismo, very original, $3000. 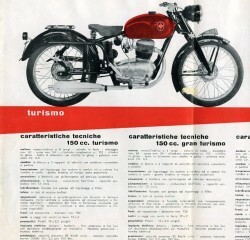 What I found out about the Gilera Turismo, is next to nothing, and in Italian. I think bore and stroke is 60×54 to get 152cc with 6.5 hp on tap. I can read Dell’orto and “Velocito Massimo 85 km/h” leads me to believe that it maxes out at 52.81655 mph. Both of these bikes are MotoGiro eligible, which means that you could join like minded, cc deficient riders to tour California, or Italy. Something that you think would be lots of fun, but then realize you might get passed, and passed often by very large traffic on the road. 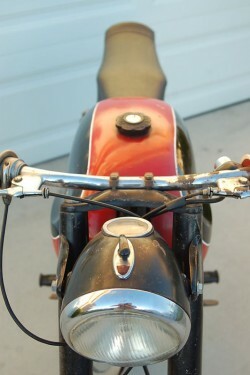 Next story 1973 Kawasaki H1D Mach III – 3 to Choose From! Previous story Two for Tuesday! A pair of Yamaha RZ350s for sale!